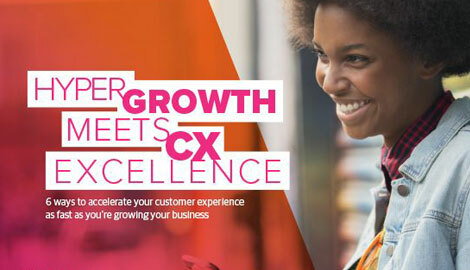 Half a decade ago businesses across industries promised a golden age of omnichannel experiences that offered connected shopping experiences and easy-to-reach customer service on the go or at home. Fast forward to now and what we have are missed opportunities, false promises, and faulty omnichannel experiences around every corner. For example, when McKinsey & Company researchers reached out to CPG Executives in 2017, 80 percent said they are instigating omnichannel efforts but less than a quarter thought they were on the right track. Omnichannel technology was supposed to become smarter but instead customers have to navigate through reams of IVR trees, get tossed around channels, repeat their issues, and revalidate who they are when they finally reach the right associate in the right channel. What happened? Where’s the omnichannel experience? There’s so much room for improvement in a market that demands smooth and seamless online experiences. Just look at the millennial generation that is at the forefront of every digital interaction and phenomenon. According to research by AdAge, 67 percent of U.S. millennial shoppers, who have a whopping $600 billion in spending power, buy in-store after they have visited and research a business online. We need to make our omnichannel experiences count at every point of the customer’s interaction. What businesses are forgetting is that the omnichannel experience is supposed to be a joined-up and relevant experience. 1. Hire the Right People: Recruit individuals who have a holistic understanding of the full sales to service value chain who are strong in marketing, product development and sales, with a knack for customer service and operations. In my experience I haven’t found much evidence of multi-skilled teams who understand all of their companies’ channels and how they work together. It’s time to hire right. In a perfect world, perhaps customer service and sales and marketing would come under the control of the chief customer officer rather than being split across marketing and operations. At the very least there should be more fluidity and interchange between the roles. 2. Connect the Dots: Many organizations are still organized on the demand side in terms of sales, marketing, and service. And while sales and marketing are sometimes joined up, they in turn don’t seem to often connect the dots to the service experience. The service experience tends to be managed by the operations function using metrics that are more about efficiency than effectiveness, examples include call handle time, reducing number of transfers, and increasing first call resolution. Whilst these are not in themselves bad, they tend to be aligned more to cost management than to value creation. As the power of data grows, we need to use analytics to reveal the flows of the customer’s journey across the enterprise. 3. Assemble a single view of the customer: Businesses are still struggling to assemble a single view of the customer across multiple channels despite years of experience in that space. Businesses need to fuse the sales and marketing data with the operational insights regarding the customer service experience. They need to truly put together an operational set of data that contains a customer’s attributes across all channels and lifecycles of their interactions with a company. A truly consistent and coherent omnichannel experience is proving elusive, especially for legacy enterprises with channel mixes that combine physical, analogue, and digital. However, a combination of more rounded skillsets across teams, more joined up organizational structure from sales to service, and finally, the ability to get more out of the technology investments already made, will reveal that omnichannel is in reach after all, if an organization truly wants to deliver it.